FORUM LEXICONBreakthrough: Looking at things from a different perspective, getting a new understanding of life. Already/always listening: Listening to others with preconceived notions of what they really mean. Racket: A way of being that allows us to justify ourselves and our point of view; preconceived notions of why we are right and others are wrong. Winning formula: A way of being that has worked well in the past and that we keep using, which keeps us from perceiving new options. Vicious circle: A sphere where our concepts determine our experience. You are a jerk. You are also a God. Depends on how you see things. Stumped? Don’t worry. Most people—ranging from your not-so-bright friendly neighbor to the Einstein-esque topper—would react like this. But then, Forum is about stumping people. Right in the solar plexus. On the face of it, it’s all common sense. Don’t lie, seek the truth, be unbiased—we’ve all heard them over and over again from well-meaning elders and cantankerous moralists. So what’s new here? Nothing! But try standing in a closed hall filled with about 300 people while a boisterous, overbearing person analyses you in minute details. And not positively either. In fact, after a while you wonder if there is anything right with you at all. So what makes people go back to the Forum, volunteer for its backbreaking work hours and swear by its philosophy? There is an equation here. Criticism + Truth = Self-esteem. Because, strangely, not many people mind the insensitive analysis of their hidden motives. As if the harsh words break down a cocoon of conditioning, leaving the inner self free to evolve—just as the Forum itself began its evolution, 28 years ago, as est. Inspirations are hard to come by. But when they do, they hit you with a buoyant force that seems to lift you from the mundane reality and gives you a glimpse into the meaning of life. For Werner Erhard, the inspiration came on a crowded freeway. Born John Paul Rosenberg, Erhard’s mother was an Episcopalian and father a Jew-turned-fundamentalist-Christian. Erhard, then a Philadelphia-based used car salesman, adopted his new name to run away from his first wife and three children. With him went June Bryde, who later married Erhard and changed her name to Ellen. Coming back to the inspiration, it happened while Erhard was driving into San Francisco in 1971 and had a ‘breakthrough’—somewhat like the ‘eureka experience’ of Archimedes. He realized that he was not a creation of his beliefs, emotions and intellect. Rather, he was the creator of all his experiences. The realization was also just right for the war-weary Americans who, amid the disillusionment of Vietnam and Watergate, were looking for a meaning to their life. Thus Erhard Seminars Training (est), a combination of gestalt, Zen, TA and Erhard’s own techniques, was born. A superlative suffix—by choice or chance—est was the modern equivalent of Noah’s ark, leading the chosen few to a world of breakthroughs. With the dynamic Erhard at the helm, est was the new transformation mantra. What does it mean to be human? What is it that sets us apart from other sentient beings? According to est, it is our capability to choose. And if we choose, there is nothing that we cannot do. The enthusiasm was infectious. Erhard came with the promise of endless possibilities, and swept people off their feet. Celebrities such as John Denver, Yoko Ono and Diana Ross lined up to join est. In the process, however, he himself was scarred for life. It began with his growing popularity. L. Ron Hubbard, popular sci-fi author and founder of the Church of Scientology (a cult that believes human beings are actually from a different planet), alleged that est was nothing more than a copy of the basic Scientology techniques. Former est members who joined Scientology accused Erhard of having neo-Nazi links and bizarre personality disorders. Vicki Aznaran, former top official in the Church of Scientology, later revealed that Scientologists would often enroll in est seminars and cause disruption. As est grew in stature, the allegations became more vicious. 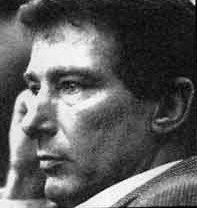 Erhard was faced with tax problems and claims of physical abuse. Three of his daughters, Celeste, Adair and Deborah went on air for a CBS program, 60 Minutes, accusing Erhard of molesting them (these were later recanted). Suit after suit followed—some claiming to have suffered near-fatal heart attacks during the est training, others claiming nervous breakdowns, clinical depressions and even suicidal tendencies. Suddenly, est wasn’t attractive any more. Though the sheer viciousness of these attacks made them less credible, the attempt to clear Erhard’s name (in a book called 60 Minutes and the Assassination of Werner Erhard by Jane Self) is so subjective and devoid of a rational flow of events that the truth of these allegations is difficult to determine. However, whether Erhard was a pervert monster as Scientologists claimed, or a near-perfect human being as his followers believed, it is hardly relevant to est—or its evolved version Landmark Education (of which Forum is a part)—any more. The scathing attacks attained their purpose. One fine day, Erhard sold off Forum to his employees, gave away his beloved dog to a friend, and disappeared from public life. ‘You can’t really compare est with the Forum,’ says Sukhdeepak Malvai, an est old-timer and reiki master. ‘est was more process oriented. It was tough. The seminar leaders would often use harsh language.’ The Forum, on the other hand, uses softer means. In fact, Khursheed Merchant quit est because ‘all that harshness was not necessary’. Soft, however, is a relative concept. For that which is soft in comparison to est, might not qualify for that definition in general terms. Consider this. A weeping woman who has just narrated her problem seeks to reach out to the Forum leader for sympathy. But the leader roughly rebukes her and goes on to analyze how her desire for sympathy itself is a means to escape the reality of her being. Perhaps there is truth there. But couldn’t the truth be presented gently? ‘That’s not always practical,’ explains Malvai. ‘Most people insulate themselves so much that you have to use sledgehammer methods to make them come out of their cocoons.’ There is truth there too. As participant after participant repeats the same doubts, refusing to let go of orthodox notions, you grudgingly admire the Forum leader’s patience. It is a tiring task. The Forum is a three days course that begins at 9.00 am and continues well past midnight. In between, you have a meal break around 6.30 pm and two tea breaks. The idea didn’t seem exciting. Especially on a cold January morning. But I managed to trudge my way to the venue, Ficci Auditorium in New Delhi. I had, of course, signed the mandatory declaration that I am a sane, healthy and normal individual and that any mental instability I may land up with wouldn’t be the responsibility of the Forum. It wasn’t as bad as I had expected when I first entered the hall and realized I’d have to sit here for 16 hours. Gopal Rao, the charismatic Forum leader, was a bonus. He was at once a messiah, a corporate bigwig, a clown, a sarcastic manipulator and a guy-next-door. He would somberly tell people how life is full of infinite possibilities. The next moment he would clownishly walk around with a chair held against his back to show how people carry the burden of their past. Or keep slapping himself for full 15 minutes just to prove that most of us go on doing what really hurts us in the end. The idea, of course, was to communicate the concept in the best possible way. The Forum has a name for this: racket. ‘Each time we think that we are right and create a preconceived notion that the other person is wrong, we have a racket with that person,’ says Rao. Does this mean that any opinion based on past experiences is a racket, and thus detrimental to our growth? ‘A racket means being blinded by past experiences, not learning from them,’ clarifies Rao. As long as you keep your mind open, you will not fall into the trap of creating rackets. Forum has a no-nonsense attitude toward facts. You can’t get away by saying, ‘I feel so’ or ‘it seems that way’. Sounds great. But is Forum really talking about unique concepts? ‘That’s a matter of perception,’ says Malvai. ‘Forum uses a different language for values that we have been taught over the years. The idea is to pretend that we don’t know anything and begin anew. The key words are the tools to get away from our set interpretations.’ Or, as the Forum claims, you go in with a slate containing jumbled letters and come out with a clean slate. Says Donald Strauss, who supervised the est volunteers under the guidance of Joan Rosenberg, Erhard’s sister: ‘Many people in the organization often became little demagogic characters thinking they could do anything.’ In fact, most Forum leaders start with the assumption that you are basically a jerk, you couldn’t have understood Forum’s philosophies on your own and your only salvation lies through their seminars—an assumption that would seem childishly pretentious to any rational person. In fact, what is most jarring about the Forum, in spite of its sound philosophy, is the contradiction of its own values. When you are in the Forum, you don’t have much choice—at least not the way it is rationally understood. You are told that you can go out any time you feel like. But if you choose to go out, you run the risk of being ostracized. You are dissuaded from going to the bathroom while the Forum is in session. If you land up with a headache (which the Forum is rather consistent in giving), you are forbidden to take painkillers. And if, heaven forbid, you happen to skip a day, that’s a heinous crime. Aren’t we, after all, supposed to choose what we want to do with our life? Agrees Vijay Mathur, a recent Forum participant: ‘The strict timings put you off. I am not interested in going for any more Forum courses.’ Dinesh Gupta, vice-president of an engineering company, feels that the Forum’s style is more suited to the American psyche. Erhard doesn’t give much importance to the bathroom and other restrictions. ‘People avoid things by getting hungry or going to the bathroom. When you understand this, it alters your sense of yourself,’ he commented in one of his interviews. True. Being struck by headaches or nature’s call just when you are in the middle of an uncomfortable situation is hardly new. But isn’t the Forum stretching it too far? The Forum also tests your self-esteem. ‘We are all basically jerks. Those who put up with you are saints,’ Rao says. Then he turns to a young girl and orders: ‘Say that you are a jerk.’ The girl timidly repeats after him. Ultimate in self-denigration? Or shocking the blind ego out of its shell? The roller-coaster ride doesn’t cease. Just when you have decided that you are the worst thing that could happen to humanity, you are told that you are the master of your destiny, that you, within yourself, carry the secret of all that you want. ‘If you want to be happy, don’t try to justify your actions. Do things because you want to,’ says Rao. He, however, is quick to add that this is not the same as being irrational. It is just being responsible for our actions. All this is reinforced by the Forum in Action seminars, the advanced course and various other courses Landmark Education offers. The idea is to help you live with these principles and mould yourself in the manner of your beliefs. ‘It interests me whether a person is stuck with destiny that got built up over time or whether we can really create our own destiny,’ mused Erhard once. Looking at the Forum, you can assume that he found his answer. For, in the words of poet A.E. Henley, Erhard and all his subsequent followers could well say in unison: ‘I am the master of my fate, I am the captain of my soul.’ Then, isn’t it time we took over our lives? Not necessarily through Landmark Forum, but at least on our own?